Leadership lessons come in all forms. Often times, I’m inspired by leaders within my organization. Those leaders include people that are in senior leadership roles (ie: Executives) and those that aren’t (ie: everyone else.) Some people believe that leaders are born, others believe that a person can learn to be a leader. I’m an advocate of the latter, but know that things like good ethics, integrity, determination, and foresight are some of the key building blocks of leadership. WHAT: Leadership. As I mentioned earlier, it comes in all forms. Leadership matters, but ethical leadership matters more. As you’re developing as a leader, be sure to keep your eye on the bigger picture and remember it’s always a good time to do the right thing. WHO: You. Your support network consisting of friends, family and mentors. It takes a mixture of all these components to make a good leader and it doesn’t happen overnight. Invest in yourself and ask for feedback throughout your leadership journey. Note that I said leadership “journey.” The journey doesn’t end – keep improving yourself, benchmarking and soliciting feedback from your peers. WHERE: Everywhere. Leadership lessons can be found all around you. Don’t get so caught up in yourself that you forget about others. Remember to pay it forward and help develop others as leaders. 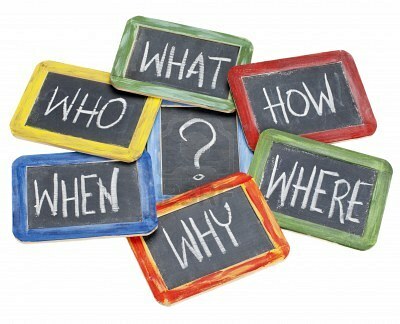 HOW & WHY: Have the know-how, but don’t stop there. Knowing how to do something is one thing, but knowing why can get you so much farther. Diane Ravitch once said, “The person who knows HOW will always have a job. The person who knows WHY will always be his boss.” My boss has used this quote often during team meetings. You know what? He has a very good point! WHEN: Now. Start now. Don’t wait until you get “around to it.” Start developing yourself as a leader now. Reach out and find a mentor, ask questions, and read as much as you can on the topic. Don’t forget to take a few steps back, zoom out, and find the “why” in your career. I guarantee you’ll be glad you did. So, what are you waiting for?? Go get ‘em!! Any other leadership tips? Feel free to leave them in the comments section below. I’d love to hear from you! As always, thanks for reading. Previous Career Olympics: Who’s YOUR Coach? Great post, Kirk! Leadership is not a sometimes thing. It’s an all-the time thing! Exactly! Couldn’t have said it better, Bobby. Have a great week!